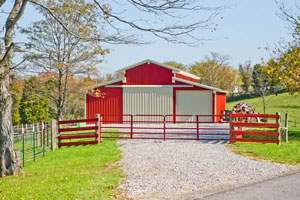 Photos from inside and out are featured here, to give you a sense of what to expect in a steel agricultural, farm or equestrian building. 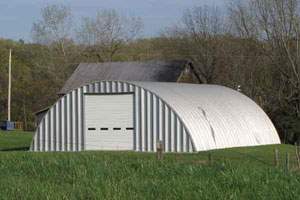 Steel buildings can save owners money on insurance and repair costs, due to their durability and fire-retardant building materials. The list of benefits to building with steel for farming and equestrian purposes is so long, that we highly recommend that you check out our Agricultural Applications page for more information, while you are exploring these images. Pay less while maximizing your custom options, for structures that are safer for you and your animals, due to steel’s flexible un-paralleled strength. Note that additions and expansion could not be easier – even without interrupting internal activities in many cases. For more information, visit the Equestrian section of our Blog. As with all other steel building categories, interior and exterior finishing options are limitless, so that your structure will be an attractive addition to your property.